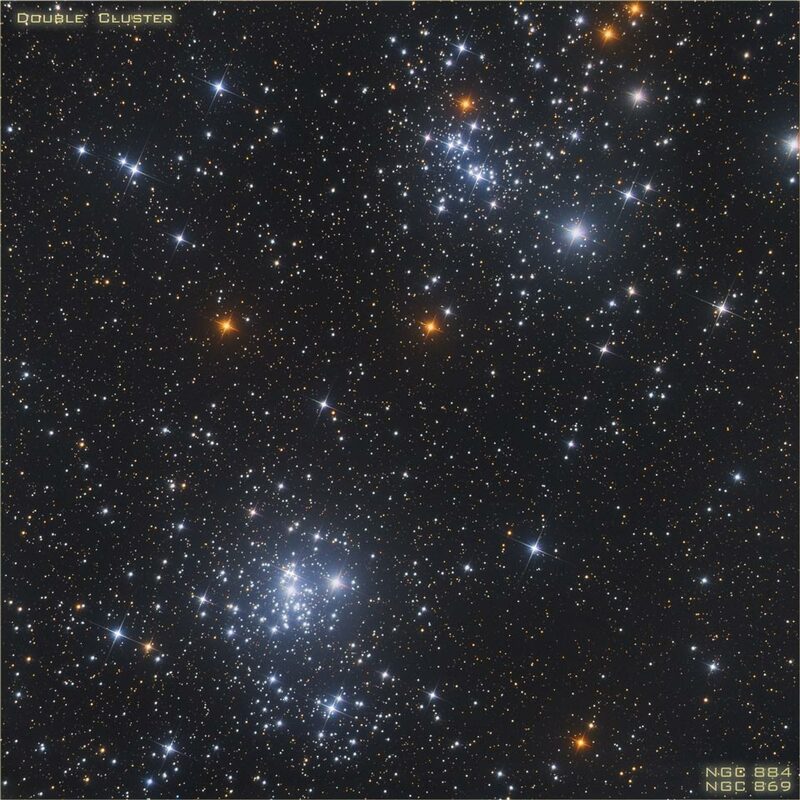 Explanation: Few star clusters are seen to be so close to each other. Some 7,000 light-years away, though, this pair of open or galactic star clusters is an easy binocular target, a lovely starfield in the northern constellation Perseus. Also visible to the unaided eye from dark sky areas, it was cataloged in 130 BC by Greek astronomer Hipparchus. Now known as h and chi Persei, or NGC 869 (above right) and NGC 884, the clusters themselves are separated by only a few hundred light-years and contain stars much younger and hotter than the Sun. In addition to being physically close together, the clusters' ages based on their individual stars are similar - evidence that both clusters were likely a product of the same star-forming region.